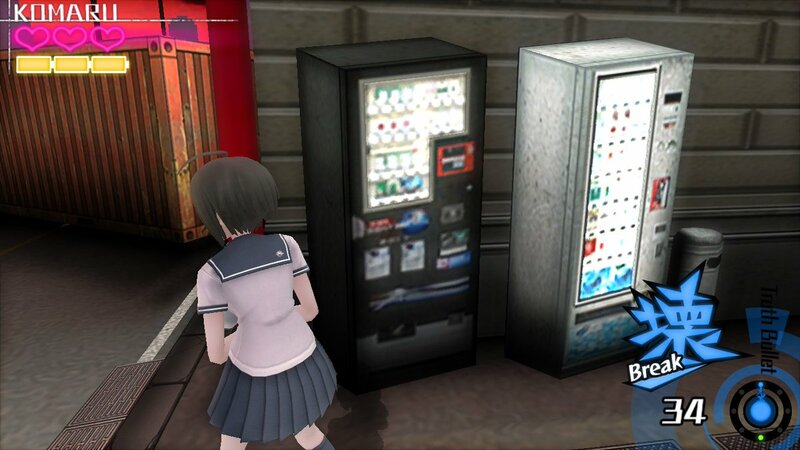 Someone busted up the DDR machine in Danganronpa V3: Killing Harmony, but at least the soda machine seems to be in working order. 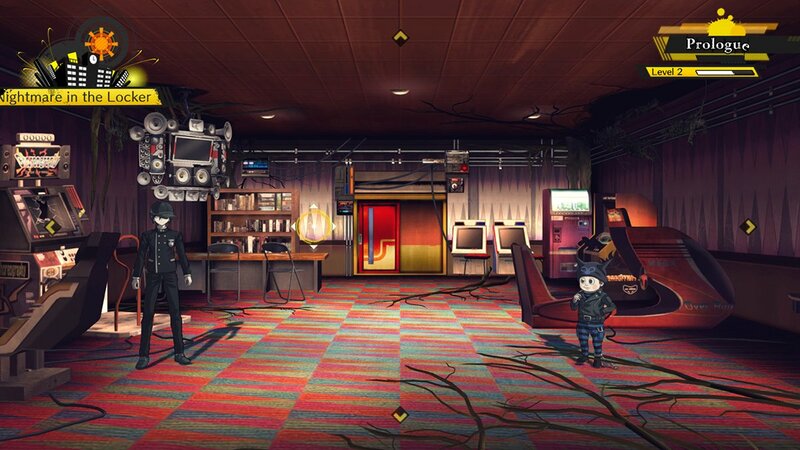 I’m not sure how that purple lady ended up on top of the soda machine or what’s with the little kids in gas masks, but here’s Danganronpa Another Episode: Ultra Despair Girls! 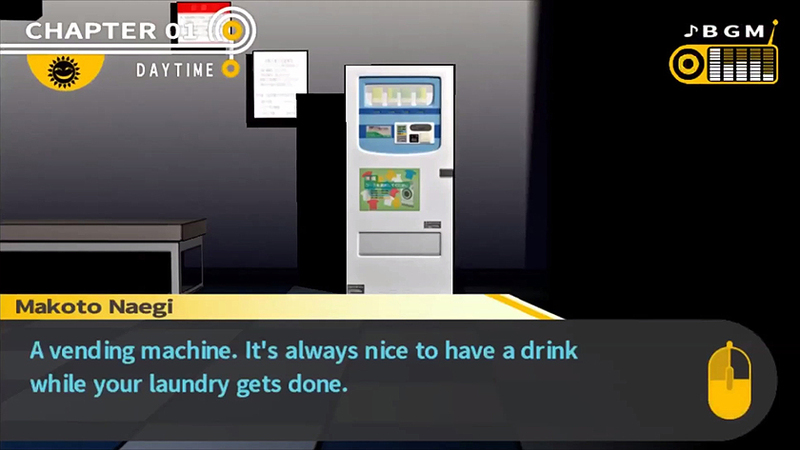 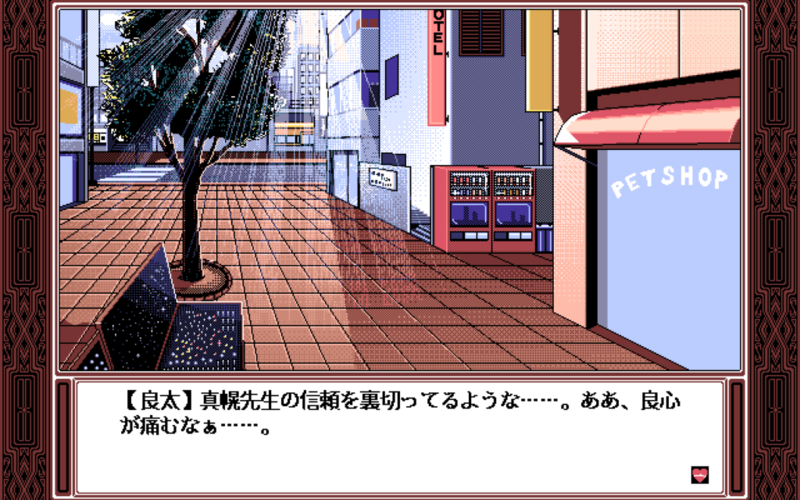 I couldn’t agree more, Danganronpa: Trigger Happy Havoc!